Margery Williams penned her classic work in 1922, endearing itself to countless young children thanks to the illustrations by William Nicholson. This edition captures the magic of the original edition, carefully recreating the story just as Margery Williams wrote it and including all of Nicholson's illustrations, in full color. While modern printing methods call for some updates to the layout, in the main, this edition is nearly identical to the one that captured the hearts of generation after generation. 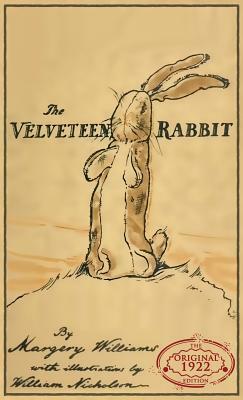 Carry the tradition to your children and grandchildren and future generations with this carefully reconstructed re-creation of "The Velveteen Rabbit: Or How Toys Become Real."